Rob Schmitz, China correspondent for Marketplace, has been living in China on and off since 1995. 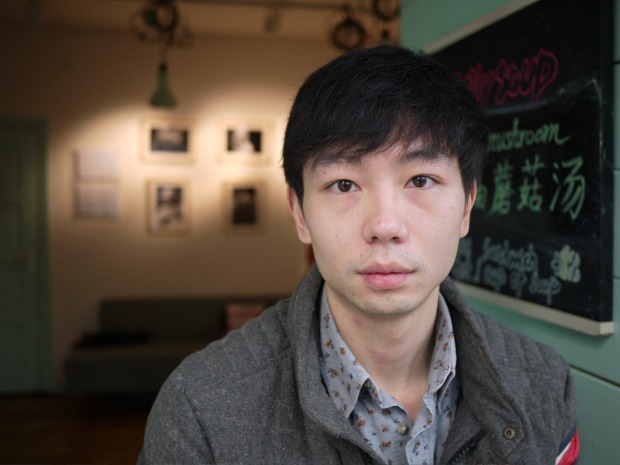 He is the author of Street of Eternal Happiness: Big City Dreams Along a Shanghai Road, a book about the people living and working on Changle Lu in Shanghai. You can read the fourth chapter here. Many of the characters who Rob writes about are waidiren—people who moved to Shanghai from elsewhere and have tried to make a living by catering to the tastes of well-off residents of the city. One of them, CK, is an accordion salesman turned sandwich restaurant proprietor. Other people featured in the book are Shanghai natives, such as a couple who fights to keep their old house while facing fire-setting thugs hired by developers trying to remake the neighborhood. And then there are Auntie Fu and “Mr Clean,” veterans of the People’s Liberation Army’s Xinjiang Production and Construction Corps, or the bingtuan. They’re spending their pensions and trying to make a fortune selling questionable sexual potency medicines. We also talk about some people who didn’t make the final edit and why they were left out. They include a paranoid kung fu master and a gay clothing merchant whose sister put the kibosh on his participation in the book.